Mermaid swimming is not only fun, but it is also great exercise! 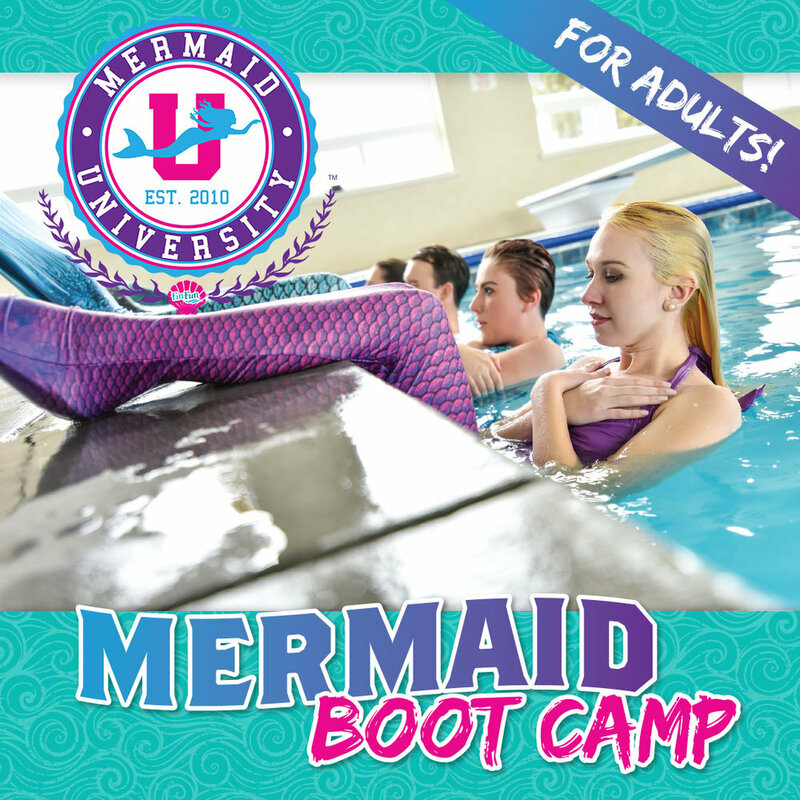 Transform your body the “Mermaid” way with our adult mermaid swim classes. From basic Mermaid 101 to Mermaid Boot Camp - we have classes that will be sure to keep you wanting to come back for more fun! All classes include tail usage, with options to keep the tail as your own! Turn your dreams into a reality while having an experience of a lifetime! This one-time course gets you “tail ready” by teaching all the safety rules of being a mermaid or merman. Includes underwater course “Graduation Photo” digital download & personalized certificate. Group & individual rates available. Gift cards also available! Get a group together and enjoy the benefits of Mer-obics together! Students in this class will learn body & core-strengthening exercises that will have them wanting more! This class is a fun new way to workout while having a great time. Stay in shape the mermaid way! Group & individual rates available. Gift cards also available! Take your mermaid / merman training to the next level! This class will meet twice a week and challenge you with new swimming methods, core exercises, and pool wall exercises. Great for anyone looking for a fun way to get fit!